Torment sees you in the role of the Last Castoff whose consciousness manifested suddenly, seemingly from nowhere. You begin within the constructs of your mind wherein you play out scenarios of past memories or consciousness that defines you as a character. This is both a tutorial and a way for the game to get a sense of your decision-making style and assign you a suitable class and personality. This can be changed before finalising everything, but it serves as an adequate starting point based on how you handle the aforementioned situations presented to you. There are three classes in the game: Jack, Glaive, and Nano. In the simplest terms, these are roughly your Fighter-Thief-Mage archetypes that focus on Might, Speed, or Intellect for their base stats and abilities. Having played through each of them, and the playstyles that I employed throughout the various forays through the first chapter, it became apparent that this was very much a stylistic choice of what you wanted to achieve in the long run. There is no right way, so the best advice anyone can give on this is to do things your way. 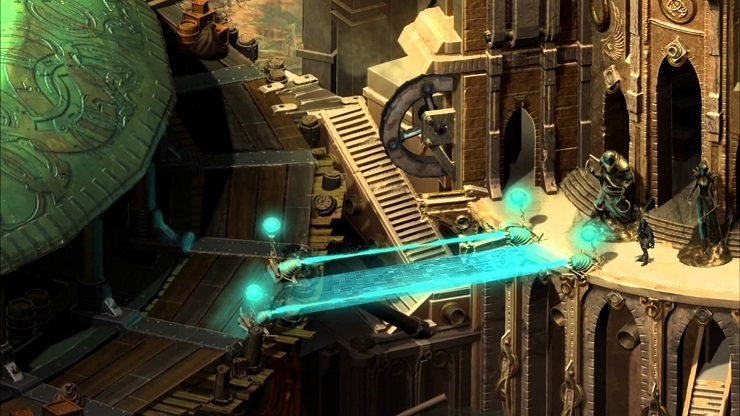 Torment is very much about doing things your way throughout. Progression through the game is largely on a narrative level. The familiar box at the bottom of the screen with sprawling text and options of your responses as you dig deeper into a conversation or situation become a warm blanket on the cold nights. Torment goes beyond other CRPGs in this sense, though, because not only is the dialogue being shown to you, you’re also getting descriptive details of what your character perceives from the speaker; actions, small movements and gestures, postures, facial expressions. These all work to give you a greater understanding of the tone and conversation flow. 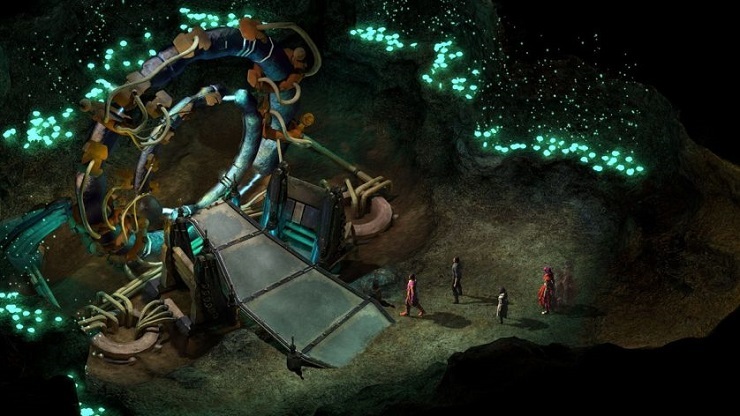 Developers inXile understand that language is not just about words spoken, but also how they’re spoken and body language. This part of the game I love! The result, however, is a text heavy game that will see you reading more than actually having direct input into your character. While this is something I’ve become accustomed to with the CRPG genre in general, newcomers may find this to be something of a barrier if the expectation was instant action and combat throughout. The game encourages avoidance of conflict and violence more than most that I’ve seen over the years, and it’s hugely satisfying to defuse a volatile situation by applying the right level of attention to detail and a silver tongue. Riling up an angry mob witnessing an execution to rally against the act will require you to sweet-talk multiple people and employ different methods of persuasion, communicating with a beetle-like race called the sticha, and more situations like this will require you to understand the situation and choose your words wisely and act accordingly. Through the use of these types of conversations checking for ‘dice rolls’ on certain stats, you’re able to avoid combat completely and progress without even unsheathing your weapon. There is definitely combat in the game and while avoiding it is intrinsically rewarding to the point of being encouraged, combat isn’t skimped on in the slightest. Combat is known as ‘Crisis’ and becomes a character turn-based system that offers a level of strategy to the game. It will often provide you with varying options of how to tackle the encounter, too. Throw out the rulebooks of RPGs you know and put yourself in the mindset of a tabletop game like Dungeons & Dragons or Pathfinder, because combat isn’t the only solution. Crisis consists of either movement or action to maintain a balance. You can move into position within a set distance around you and then take an action. Additionally, you can trade an action for more movement so that you can travel further, but will be unable to trade movement for two attacks. 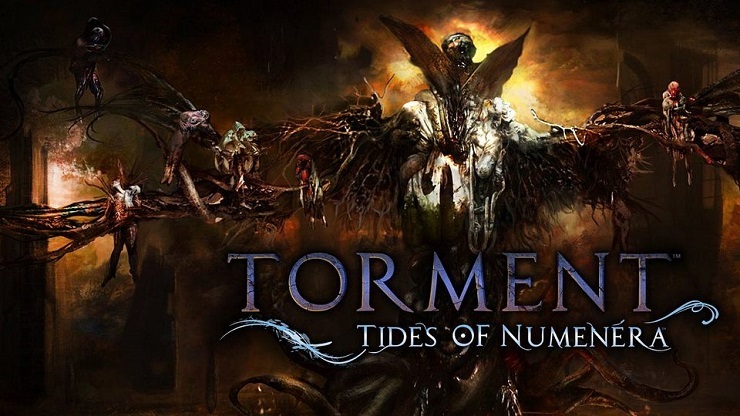 Torment, as its namesake suggests, is utterly unforgiving and will test your combat abilities. It’s almost as if combat is something that inXile want you to do as a last resort and it can sometimes show in how challenging it is. The dice can sometimes feel like it’s constantly stacked against you, but to me this felt about right. You can shrug off some damage levelled against you and yours easily enough, but after the fifth time that hammer’s smashed your head, it’s going to make you a little sluggish. It should feel challenging, so I feel that this is a good balance. There’s something else that adds extra levels to both combat and conversations, and that’s the Effort mechanic. You’re able to raise your character’s Effort each turn, allowing you to apply your Might, Speed, or Intellect to actions. Everything in the game works on chance, from persuasion attempts to swinging a weapon or casting a spell. Each of these has a base chance, so without applying any additional Effort to the action you will have a percentage chance of success – usually low at the beginning, but this is something that improves over time. Every point of Effort that you apply to an action takes away from your total stat pool for that activity. For instance, my first character was a Nano with very high Intellect of 8 or 9 that meant I could apply this in rolls to ensure a 100% chance of succeeding on my Intellectual actions. Once those stat pools are depleted, you will be unable to apply extra Effort to anything else using that stat until you rest and recuperate, meaning you’ll be fighting or trying to persuade people with only the base “No Effort” chances. It would be like shooting a bow at long distance without taking a second to aim and regulate your breathing; it’s probably going to miss. This mechanic can become a gamble and has often left me clenching a fist while rolling the dice on a persuasion attempt, or when you finally come to battle and you’ve spent some of your energy on trying to persuade someone without avail. You’re now stuck in a conflict with fewer point available. Use it wisely! 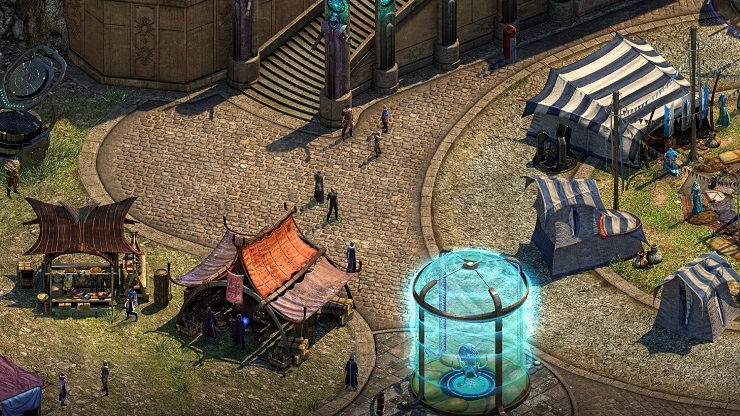 Torment: Tides of Numenera leaves me craving more every time I save the game and turn it off. There’s an intrigue around every corner, there’s someone interesting to talk to everywhere you go and a few secrets that I’m sure I’ve missed despite how thoroughly I’ve pored over the text. The narrative and overarching story of The Changing God and the Castoffs that came before you is intriguing and quite a unique spin. It’s not about saving the world or any grand campaign of righteousness! It’s you and a lot of questions you want answered which is so intriguing in a market full of hero protagonists. The PlayStation 4 version of the game is just as good, however, there were a fair amount of times when the game stuttered a little, or froze temporarily. These issues aren’t a constant occurance, but certainly worth mentioning if you’re mulling over which platform to get the game on. Ignoring this, and you’re blessed with the same incredible game, but it did get frustrating at times. There are a few things that are not very clearly explained within the game in the version I played but these don’t seem to have a huge impact on the game. The titular mechanic of the game – the ‘Tides’ is still something that’s not clearly explained in the dialogues I’ve had with characters in the game. In fact, it’s brushed off very nonchalantly with a quick “You won’t need to worry about this, once you get out there this will just happen automatically.” Not exactly comforting when this line follows an ominous “You would die without this.” This left me a little confused, but it seems to react and shift colours with actions you take, and seems to be a mechanic akin to Mass Effect’s Renegade/Paragon system – except with no true explanation that I’ve found within the game. One of the best CRPGs of recent times, with a rich world to get lost in, and some great mechanics to keep you playing for hours.